Today, I started creating the trophy for the winner of this year's Sign Invitational competition. 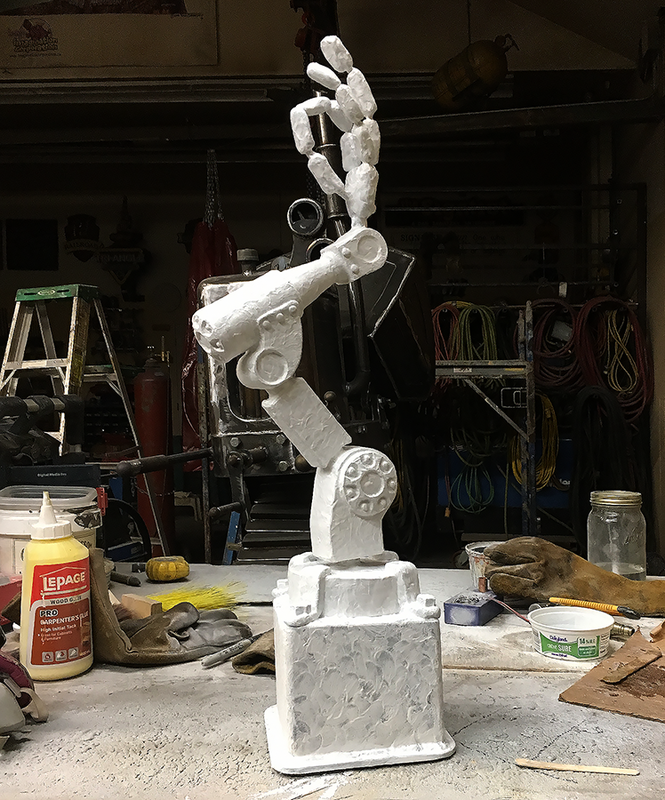 I decided to create a small(ish) machine in keeping with this year's theme... a robot arm with the fingers forming the OK sign. We'll begin the paint tomorrow. Across Canada and the USA the competitors are busy working on their imaginative entries, all vying for top honours. The big question is who will take the trophy home?